TimeCheck offers you a complete Time & Attendance solution to improve your business productivity with instant processing of employee time and efficient management of shifts, leaves & permissions, overtime, month & year closure and much more, with provision for payroll integration. TimeCheck is an enterprise grade web-based software for processing time recorded using any Industry standard SmartCard or Biometric terminals across the organization, including remote locations over the intranet or Internet. 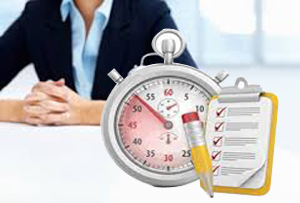 With TimeCheck’s configuration ability to fit your organization’s business rules, it helps managers take timely decisions in running their operations by simplifying time-consuming routine of processing their employees attendance data, against the allocated shifts and approved leaves to arrive at normal time and overtime. TimeCheck also ensures on-time payment of salaries, when integrated with payroll software. It protects sensitive employee information with comprehensive security layers limiting supervisors or managers with access to only their relevant information as per the organization hierarchy.